Another huge serving of Ibiza pool party is headed to Dubai this week, with Cuckoo Land set to make its Dubai debut at Soho Beach on Friday February 15. Known as one of Ibiza’s biggest pool parties, the first ever Cuckoo Land in Dubai will see Gorgon City headline, alongside Dennis Cruz, Max Chapman and the Cuckoo Land Ibiza residents. The event will kick off at midday, with the venue promising a day to night pool party with a balearic vibe served up by some top DJ sets. A further five events will come to the city later in the year, courtesy of Ibiza Rocks and Electric Ibiza. 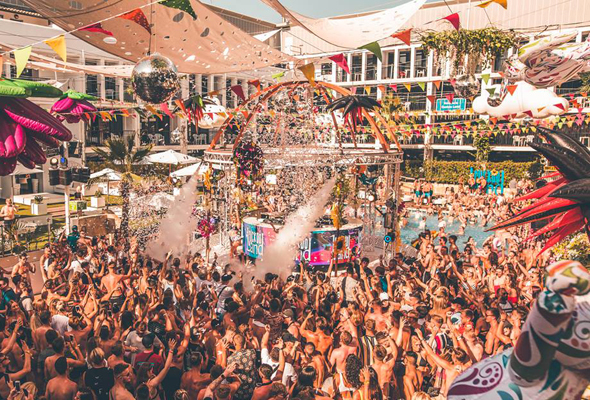 “Cuckoo Land parties have been some of our favourite events over the last two summers in Ibiza, so to be able to take a bit of that crazy Balearic party vibe and work with the fantastic Ibiza Rocks team in Dubai at Soho Garden is something we’re really looking forward to,” said Neil Evans, director of Electric Ibiza. Cuckoo Land in Ibiza has seen some top DJs headline during its Ibiza residency including Claptone, Disciples, Latmun, Waze & Odyssey and 2018 resident Sonny Fodera, so we can’t wait to see who else comes to Soho Beach as part of their artist line-up. Cuckoo Land is the latest in a string of brilliant European brands making their Dubai debut, adding to a line-up which already includes Hot Bed Ibiza, All Day I Dream, Ants and Elrow, who have all thrown parties at Soho Beach. After Cuckoo Land, the next big festival taking place at Soho Beach will be All Day I Dream, which will return for a second installment on March 8.